Delving into the pages of local newspapers can turn up fascinating insights into history. Take these few column inches from July 1954. This advert placed in The Grantham Journal of 23rd July 1954 promises speedy promotion to Passed Cleaner, along with other 'perks', to attract young men to work with steam locomotives. At that time manufacturing jobs in Grantham's expanding industries were proving to be an attractive alternative to the railway. That such a 'hard sell' was thought necessary might, at first glance, appear surprising given Grantham Loco's reputation as a top depot on one of the world's most prestigious high speed railways, the East Coast Main Line. A number of factors were at play. A declining birth rate in 1930s Britain led to a 'shortage' of 15 to 20 year olds in the mid-1950s. 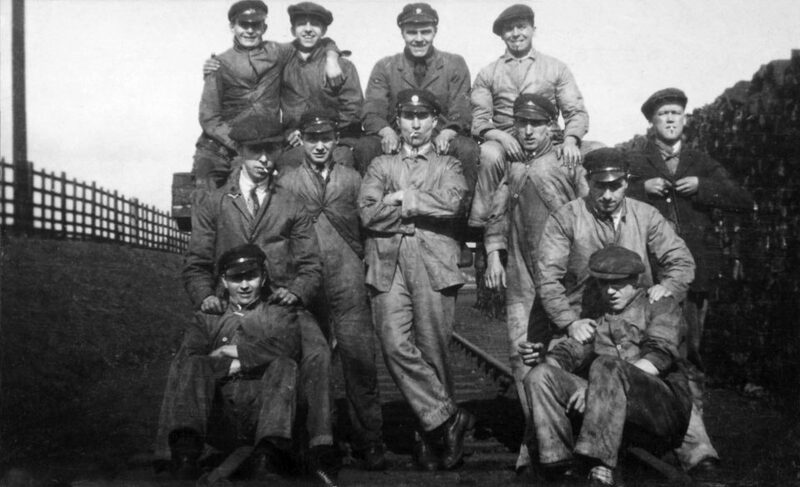 As things picked up again after the war many of these young people found that the working conditions offered by an expanding manufacturing industry better suited their aspirations than the traditional jobs on offer on the railway, many of which involved shift work and exposure to inclement weather. Other young men took advantage of new opportunities to continue their education at college or university. By comparison, starrtin working life as an engine cleaner seemed unattractive. Even men already employed on the railway and making their way steadily through the footplate grades were thinking of alternative careers. If you read Peter Wilkinson's story you'll see that Peter left his job as a fireman at Grantham to join the police force in August 1954, the month after this advert appeared.